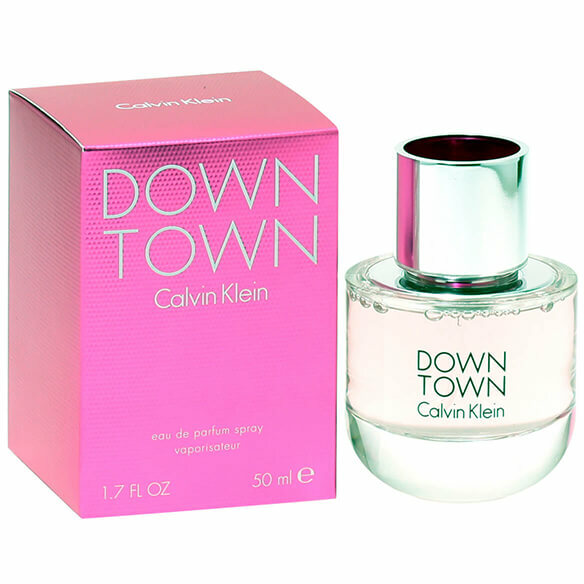 Calvin Klein Downtown for women by Calvin Klein is a woodsy, floral musk women's perfume. Top notes of pear, plum and bergamot are fruity and fresh. Middle notes of violet leaf, gardenia and pink peppercorn are a sophisticated floral and spice combination while base notes of musk, cedar and vetiver are earthy and warm. 1.7 fl. oz. An EDP perfume for women. No express shipping. No shipping to PO boxes.